I received At the Mercy of the Queen via the Goodreads First Reads program, and overall I’d have to say that it was, well . . . fine. I read it over the course of a week or so, and while I didn’t dread getting back to it, I was also never particularly excited to do so, nor did I think about it when I wasn’t reading it. It is a historical novel based on one of Anne Boleyn’s lady’s in waiting. The story was . . . fine. The pacing was OK. There was just nothing particularly good about this book. 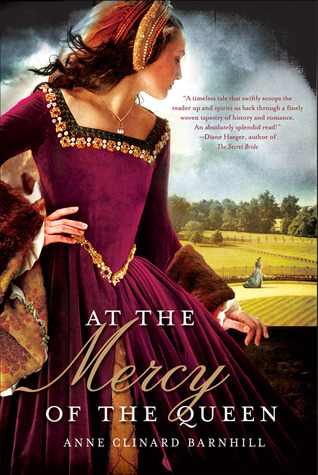 I guess if you’re really into historical novels set in this era, it might be worth reading. Otherwise, I’d recommend you skip it and stick with something that’s better than fine. This entry was posted in book reviews, fiction, historical fiction and tagged barnhill, book review, dull, historical fiction. Bookmark the permalink.